Incoming international comic Dean Edwards has quite the star-studded CV. Having been part of the same Saturday Night Live (SNL) cast as Will Ferrell and Tina Fey, to appearing in Chris Rock's Top 5, to replacing Eddie Murphy as the voice of Donkey in the Shrek franchise and having a role in Spider-Man 3, Edwards has had a pretty impressive career and is now gearing up for his first China stand-up tour. Kicking off in Hangzhou on Wednesday 12 September, Edwards' tour will see him down in Shanghai for three shows before arriving in Beijing on Sunday 16 September. He's performed stand-up all over the world, notably appearing on Gotham Comedy Live and The Late Late Show with Craig Ferguson, while his time on SNL saw him rub shoulders with guest hosts such as Robert De Niro, Ashton Kutcher, Britney Spears, Cameron Diaz and the late Senator John McCain. We chatted with Edwards ahead of his maiden China trip to talk all things travelling, impressions, SNLand Donkey. Read on for the interview and clips of his stand-up below. You've never been to China before, what are your perceptions of the country and of performing here? I don't have many preconceived notions or perceptions about performing in China. I learned from years of doing international gigs to unlearn whatever I think I might know about a particular region. Mainly because the perception never matches the actual reality. Every show is an opportunity to win new supporters, so each gig starts off with a clean slate. Have you performed in any countries before where English isn't the first language? How will your act differ here to how it is back home? Aside from maybe slowing my diction slightly, I'm not changing my act. If we can laugh at Jay-Z, Drake and Rihanna in the States, you're gonna laugh at Hov, Aubrey & Riri out'chea in China too. I'm NICE, son! I know hip-hop is big in China, so those references need no translation. You are known for your celebrity impressions. Which is your favourite one to do? I love all of the impressions and how well they hit when combined with strong jokes. People seem to especially love my Lil Wayne, Kendrick Lamar and Denzel Washington, but I especially like to do the Tracy Morgan impression. Tracy's a good friend of mine and former cast mate when we were on Saturday Night Live together. The beauty of doing an impression of him is I can make any irreverent statement in his voice and it makes it even funnier because realistically Tracy could potentially say anything at any time. 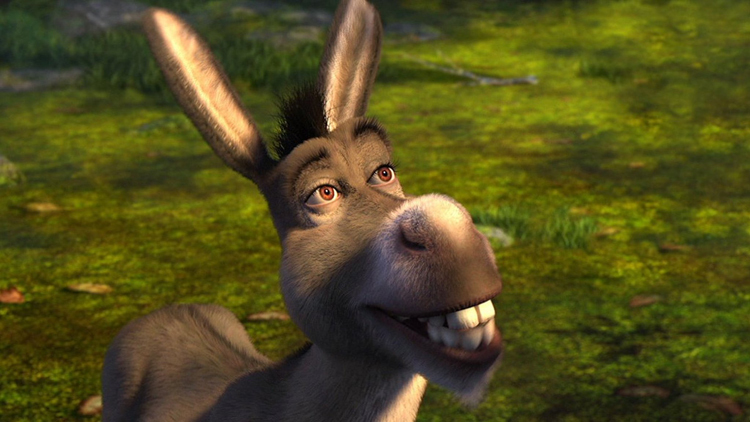 You played Donkey in a couple of Shrek shorts and sound exactly like the original. How did you feel when they asked you to play the part? It’s a pretty big compliment for your Eddie Murphy impression. Playing Donkey in Eddie's stead has been an honour since Eddie Murphy was really the catalyst for me becoming a comedian and entertainer. Who was your favourite host you worked with from your time on Saturday Night Live? My top five hosts I worked with are Reese Witherspoon (because she hosted my first episode ever), Gwyneth Paltrow, Queen Latifah, Matt Damon and my favourite is probably the classiest, funniest, most down-to-earth guy I ever met in Hollywood, the late, great Bernie Mac. Just the best dude, man. They don't make them like Bernie anymore. And… who were your least favourites? No least favourite. Stop attempting to make me kiss and tell and spill some tea. I'm on to you! Who are your comedy heroes? Where are you heading after China? What’s next for you? I return from China on September 17. I have a day at home to catch a breather and then I fly to Vegas to play the new Comedy Cellar at the Rio Hotel. If y'all are feeling me in China, meet me a few days later on the Vegas Strip. The ginger ale and pineapples are on you!